If you were born between 1946-1964, then I’m sure you are aware that you are part of the Baby Boomers. 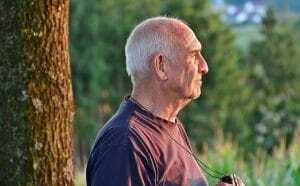 The baby boomer generation is reaching the age of retirement. Due to medical advances in diagnostics, treatments, and procedures, this population is expected to live longer than previous generations. This aging population will put a higher demand on the long-term care industry to meet their needs. According to recent surveys, the number one concern for baby boomers is outliving their retirement savings. Many baby boomers are now fearful and asking themselves if they have enough money for retirement and long-term care? Don’t get caught in this uncertain situation. Of course, the sooner that you can stash money away for retirement, the better it will be for your pocketbook in the long run. If you are nearing retirement and you are concerned that you have not put enough away, act now. Alleviate the worry by getting organized. Understand where you are in your financial planning and how you can adjust going forward to meet your goals. The best step in planning for retirement is to have a clear picture of what you have in retirement savings and how much you will need. First, how do you plan to live and what will your lifestyle be in retirement? Because all of us have different levels of comfort and a variety of needs, this calculation will be different for everyone. Determine where you and your family fall on the spectrum of various lifestyles. Do you plan to drive a luxury car or a more practical vehicle? Will you live in the same house or move into a manicured community? Will you dine at home mostly or intend to eat out often? Will you travel the world or stay closer to home? How you plan to spend your retirement will impact the dollars that you need to save now. For a clear understanding of your financial situation, it’s best to analyze how much you spend annually. If you are serious about planning for retirement, doing this legwork to determine costs can give you a better financial goal. To get a true picture of finances, track your expenses for one year. There are many helpful budgeting tools to organize your expenses online. Quicken, Mint.com, or a simple Excel sheet, can help you determine your average monthly expenses easily. Your most substantial two expenses, most likely, will be housing and transportation. Will you need to replace a car during retirement? Will you move to a more affordable home? Is your house paid for or will you still have a mortgage? Make sure that you are realistic in examining these expenses. Now that you have determined your monthly projected costs, then you will need to assess what you have in your nest egg. To help identify all the line items included in your retirement, there are useful online calculators. An online calculator can help you determine your social security, savings, pension, investments, and any other income. When it comes to spending, one helpful calculation is the 4% rule to understand better if your retirement will last. If you were to withdraw 4% of your savings in your first year of retirement, and then you regulate subsequent withdrawals to account for inflation, your savings should last for 30 years. The 4% rule is not perfect or carved in stone, but it can give you a rule of thumb to help with evaluation. If you have a projected shortfall, don’t panic. Now is the time to readjust your expectations, goals, and objectives. Perhaps you will need to work for a few additional years, downsize your home, or cut back on your current expenses but these steps can put you on a more substantial footing for retirement. One conservative solution is to avoid dipping into your principal to make your savings last. Let the income and investment gains cover your daily living expenses along with your social security and any other income that you may have. Maintaining a sustainable spending rate will safeguard that your funds will last. But this can be a daunting projection for many of us to make, so get help if you need. A certified financial planner can serve as an excellent partner to help you best utilize and plan your retirement savings. They can keep you focused on your goals and hold you accountable. According to the U.S. Department of Health and Human Services, close to 70% of aging seniors will need a long-term care solution. Long-term care insurance can be a consideration to pay for this needed care and assistance. If properly budgeted for (it can be pricey), long-term care insurance can pay for itself if utilized. Long-term care insurance will help pay for the support services when you can no longer live alone or care for yourself. It can help to cover the costs of either in-home care, assisted living, memory care, hospice, or a nursing home. It covers the expenses that health insurance, Medicaid, or Medicare will not cover. The policyholder selects the range of benefits, so it’s best to do your research and speak with several insurance companies to understand what each policy offers. It’s never too late to save for retirement and plan for long term care. If your nest egg is behind schedule, don’t give up. Play catch-up where you can. Revise your current lifestyle and adjust your plans. Getting a good financial planner can help put you on the path to retirement and ensure you will have the care in the future that you may need.